Starring: Vin Diesel (Pitch Black), Paul Walker (Into The Blue), Dwayne Johnson (GI Joe: Retaliation) and more. Rated: Rated PG-13 for language, violence, sensuality and intense action. Hopefully you have read the synopsis above or know enough of the plot already (it will not be repeated below). 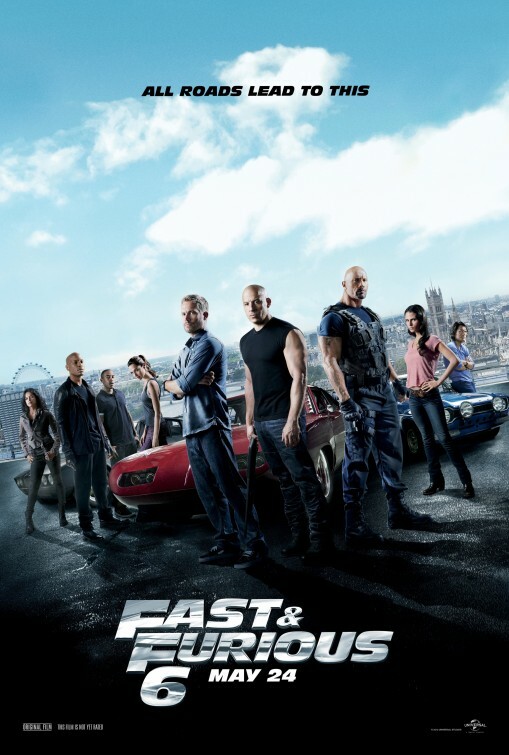 This one picks up very closely to where Fast Five ended (I like when chronological movies do that) and while there is some catching up, the story quickly gets going and soon the crew is reassembled together. As the franchise has added more players into the mix, the inevitable problem facing the writers and directors is how much time each character gets for their story and development. Lin and his crew impressively spreads the spotlight on all of the characters as they each serve their purpose in favor of the story. One of the funniest scenes of the film! In a movie series like this that has shifted gears from street racing to heists and military operations, it’s an added delight to see that it doesn’t forget its roots and still keeps a part of what made it great to begin with (paralleling Diesel’s character, Dom). Racing and boosting cars has been mainly replaced by “vehicular warfare” and hard-hitting fist fights that definitely entertain to the max. 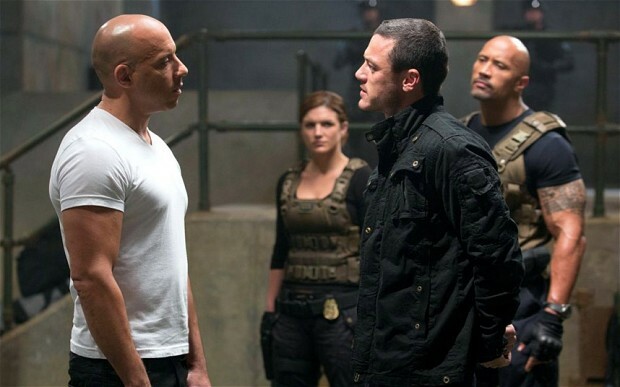 Dwayne Johnson and Gina Carano proved to be worthy additions to the franchise as did the villain played by Luke Evans. It’s a funny notion when, in a movie that is supposed to be more about cars, you are looking forward to the fist fights and tank chases most! …and the girl fight is not the only one that is exciting to watch! 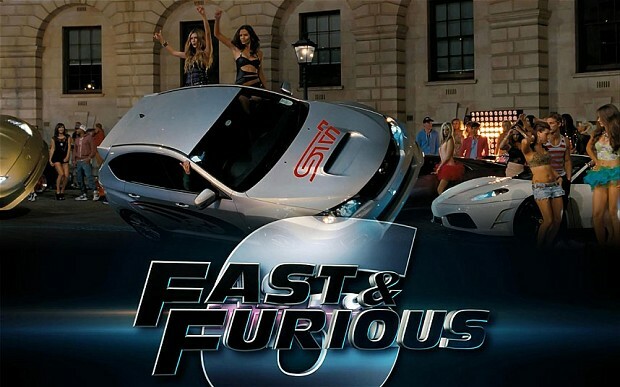 Nevertheless, Fast & Furious 6 is a nonstop fun thrill of a ride with an enjoyable mix of great and believable characters, action, adventure, drama, comedy and jokes (thanks mostly to Tyrese, Ludacris and Dwayne Johnson) and fast/furious SPEED! It neatly ties up several loose ends, answers many questions and begs to ask more as the story unfolds and a mid-credits scene teases what is yet to come and helps align the entire chronological order for confused fans. This is one explosive installment that is not to be missed. 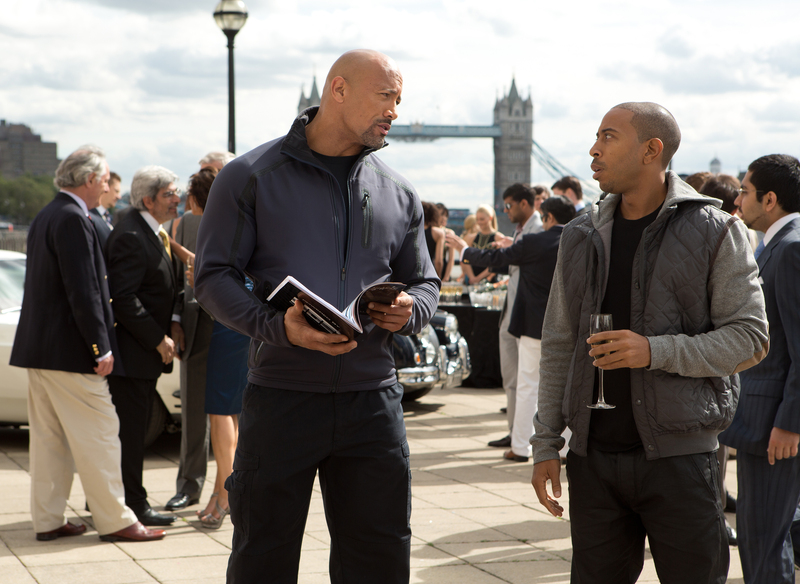 Rev your engines and race to a theater near you to check out Fast & Furious 6. On your mark, get set…Why are you still reading this? GOOO!! I liked it quite a bit. Like I said…it’s not without its required “brain shut off switch” but it is a great summer blockbuster and one that I encourage enjoying. Although I will be interested in your thoughts specifically having not seen any of the others (which I think you probably should see)! 🙂 Thanks for stopping in. Enjoy the show. Good review Terrence. It’s louder and dumber than any of the other movies, but it’s still fun as hell and probably the best out of the franchise. Haha that picture took so long to screenshot, trailers are getting too damn quick! I am curious, if you’ve seen it yet, how you liked it. 🙂 Thanks for stopping in, Kim! So what is the chronological order of the F&F movies? …and then, The Fast and the Furious: Tokyo Drift…be sure not to miss the mid-credits scene at the end of the movie! 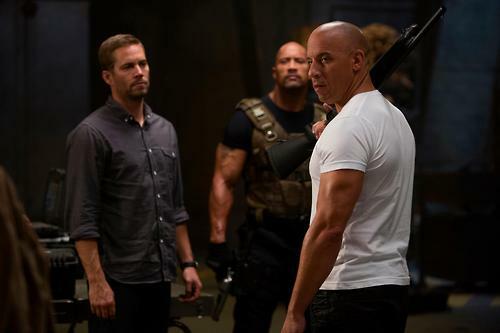 Saw it earlier tonight, it’s a lot of fun, I still prefer Fast Five though. Yeah that must’ve been the longest airport runway in the world since they seemed to keep going and going, lol. Fast Five was the franchise gamechanger. As for the movie I just loved it…I still felt the adrenaline going afterwards and will probably go watch it again at the cinema. The jokes, the action, the fights…it was all awesome. And that final scene in Tokyo? It made me super thrilled for the next one, it was totally unexpected to see “him” turn up in this franchise, but I like it. some really great stuff they pulled off in this one. and the surprise was also well done. and I found the infamous runway…as long as it was…to still be a fun scene. Ah, there it is…I think I must have driven over it once when I drove to the South of France!